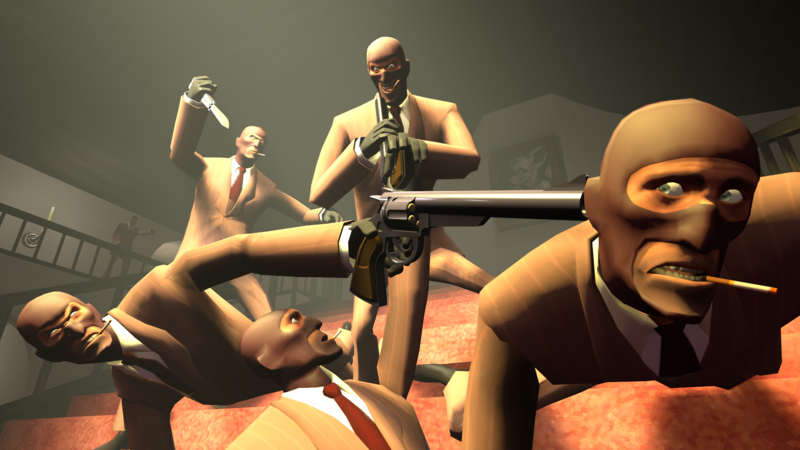 Murder is a gamemode originally made for Garrysmod. The game begins with all players being spawned in and given a random role. A player can be innocent, a detective, a fool, or the murderer. The murderer's job is to kill everyone as quietly as they can. 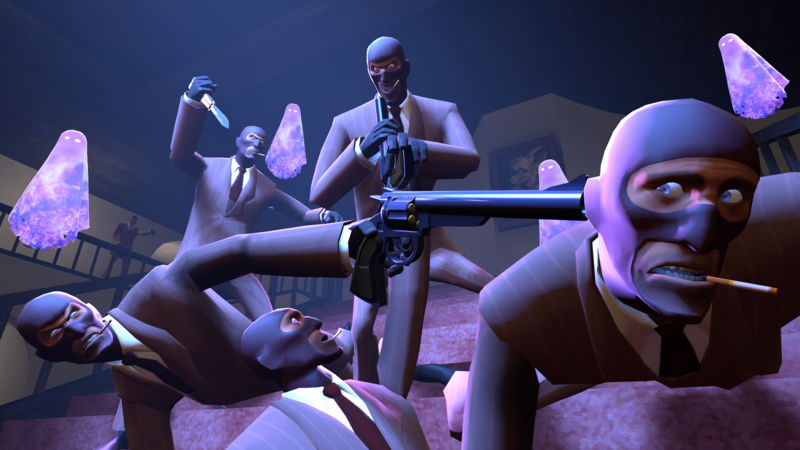 They are given a knife, and if they fail to kill someone within a 80 second time frame, a new murderer is chosen. The detective's job is to kill the murderer. They are given a single shot pistol with a slow reload time. There can be up to two detectives at a given time depending on the number of living players. If a detective kills an innocent player, they are killed as well. The fool's job is different...they want to be killed. If the fool is killed by the detective, the game is over. The innocent's job is simply to run around, easy-peasy. When a player dies, they are transferred to blue team and turned into a ghost. Ghost players cannot be seen or heard (Voice / Text dead chat is disabled) by the enemy team. Adjusted the stats on the knife (Knife's range is now similar to that of the Disciplinary Action), these changes were also implemented to help cut back on hit detection troubles.